These are the programming, development, packaging, and distribution tools and skills WebAmphibian.Com can bring to bear for you. 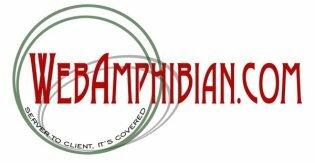 WebAmphibian.Com is willing to entertain challenges in any of the following areas of software development, deployment, etc. Addtionally, WebAmphibian.Com welcomes other integration projects where our skill sets meet your requirements. Please contact us to discuss how we may help you reach your goals.